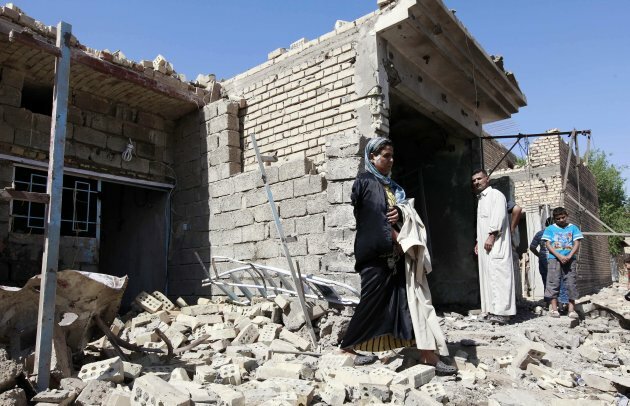 Associated Press/Hadi Mizban – An Iraqi woman stands in rubble at the scene of a car bomb attack in the town of Taji, about 12 miles (20 kilometers) north of Baghdad, Iraq, Sunday, Sept. 30, 2012. 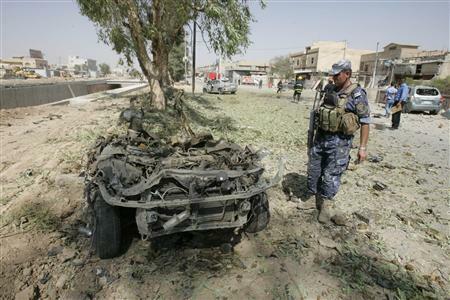 BAGHDAD (AP) — A series of coordinated bombings shattered Shiite neighborhoods and struck at Iraqi security forces Sunday, killing at least 26 in attacks that one official described as a rallying call by al-Qaida just days after dozens of militants escaped from prison. The blasts brought September’s death toll from sectarian violence to nearly 200 people — a grim, above-average monthly total for the period since U.S. troops left last year. The steady pace of attacks has worked to undermine confidence in the government. Police said the wave of explosions stretched from the restive but oil-rich city of Kirkuk in the north to the southern Shiite town of Kut, wounding at least 94 people. There was no immediate claim of responsibility for the attacks, but bombings are a hallmark of al-Qaida in Iraq, the Sunni insurgency that has been struggling for years to goad Shiite militias back toward civil war. A key Shiite lawmaker said the bombings likely sought to galvanize al-Qaida in the wake of a prison break last Friday in Saddam Hussein’s northern hometown of Tikrit. Scores of inmates escaped — including as many as 47 convicted al-Qaida militants — in a massive security lapse that the government acknowledged had help from inside. On 7th September 2012, a series of coordinated bombings targeting three Shiite mosques in Kirkuk killed at least eight people and wounded thirty-six. Our cousin Ali Djellil (aged 40) and one of his sons (aged 12) were among the dead, they were blown to pieces when leaving the mosque after Friday prayers. Our cousin is leaving a wife and five children, the youngest is a six year old girl. A bomb had been placed in a parked car near the mosque. 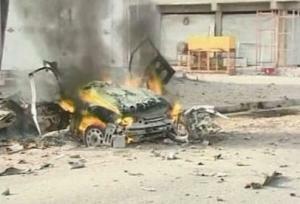 A second bomb exploded after the police and rescuers rushed to the scene. Both bombs killed a total of eight and wounded 36. Three other bombs targeted two more Shiite mosques in the centre of the city, injuring 34 people. The Head of the Turkmen Front, Mr. Ershad Al-Salihi and ITF Turkey representative Dr Hicran Kazanci have strongly condemned these attacks in a press statement. Meanwhile Prime Minister Al-Maliki continues to ignore the Turkmens’ repeated demands to form protection units composed of Turkmens to protect Turkmen neighbourhoods, thus leaving the Turkmen population unprotected and very vulnerable. Kirkuk, which has become a deadlock in Iraq, took a knock due to the acts of violence again. Within the last 4 days many people have been killed and injured, as Turkmen officials have directly been targeted and also due to the attacks carried out against places such as mosques, market places etc. with lots of people. The chain of attacks carried out against the Turkmen for a week had been launched with the assassination against Major General Adnan Abdurrezzak, an official of Turkmen origin at the Office of the Ministry of Interior in Kirkuk Governor’s Office on September 4. Abdurrezzak, who went grocery shopping during evening hours, was assassinated in the market along with his two security guards. While the following day during noontime the Prosecutor Emel Ahmet Kayacı, official in the Court of Tuzhurmatu in Salahaddin, and his security guard were assassinated; during evening hours of the same day the home of Ali Haşim Muhtaroğlu, ITF (Iraqi Turkmen Front) Deputy Head and Salahaddin Provincial Council Member, was attacked. But it is reported that luckily everybody escaped unharmed from the attack. Eight explosions hit Kirkuk on Friday September 7. While the fact that most of the explosions took place in husayniyya (Shiite mosque) and in mosques during the Friday prayer draws the attention, the fact that the explosions mostly take place in Tisin, Domis, Atlas Streets and in areas such as Musalla suggests that Turkmens have still been targeted. The fact that attacks are mostly carried out in Turkmen neighborhoods, that Turkmen officials are directly targeted brought up the issue of protection for the Turkmen to the agenda again. As the Turkmen officials urgently emphasize; especially in Kirkuk the lack of forces to protect Turkmens and insufficiency of the forces affiliated to the current government lead Turkmens to be damaged the most. Even if Turkmens are not directly targeted, Turkmens which are the least protected group in Kirkuk are damaged the most. As it is known, in Kirkuk, there are peshmerga and public order forces of Kurdish parties as well as police forces of the Iraqi central government. The aforesaid forces can easily protect the Kurdish neighborhoods. On the other hand, it is known that Sunni Arab tribes also have armed forces. As a matter of fact the majority of Sahwa, local forces created to fight against Al-Qaeda, is composed of Sunni Arabs. Currently, the needs (including their salaries) of Sahwa Forces are provided by the Iraqi central government. However, Turkmens do not have such forces. Besides, it is known that the number of Turkmens are less than the other groups within the security forces of the Iraqi government. Thus, problems take place in protecting Turkmens and Turkmen neighborhoods, and the places where acts of violence are witnessed the most are the Turkmen areas such as Tisin, Baghdad Road etc.In addition to the fact that Turkmens do not have an armed force, it is also Turkmens who are damaged the most as a result of the conflict in Iraqi domestic politics regarding Kirkuk. Currently, there is a struggle between Kurdish Regional Government (KRG) and Iraqi central government to control Kirkuk. The Iraqi government led by Nouri Al-Maliki has been striving to increase its control over Kirkuk, and to this end, the government has been trying both to draw anti-Kurdish groups, including Sunni Arabs, to their side and also to increase its military power. For example, Maliki formed the Tigris Operations Command, directly affiliated to the Prime Ministry, in order to take security measures in Kirkuk as well as Diyala and Salahaddin. Despite the fact that Kurdish and Turkmen members in Kirkuk Provincial Council opposed to this, the Tigris Operations Command de facto took office. Kurds and Turkmens are concerned about the possibility that it would only be composed of Sunni Arabs. If the objective is to protect Kirkuk, Turkmens demand the formation of a “Kirkuk Force”, which would only be composed of people from Kirkuk and which would include all components living in Kirkuk. Nevertheless, it seems hard to accept this suggestion due to the political stance.However, the real threat especially for Turkmens is considered to be the effort to create a sectarian conflict in Kirkuk. Because it is important to note that most of the explosions on September 7 targeted husayniyyas. If this situation increasingly continues, it might lead to a sectarian conflict in Kirkuk. The most damaged group would be Turkmens. Because almost all Arabs and Kurds in Kirkuk are Sunni. But there are both Shiites and Sunnis among the Turkmen in Kirkuk. In case a potential sectarian conflict takes place, Turkmens might become polarized (even if a low possibility). It is important to note that Turkmens are politically divided in Kirkuk. 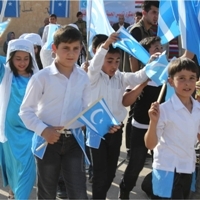 Shiite Turkmen parties formed a Turkmen coalition. Even though their goal is to form a Turkmen unity, the fact that this coalition only includes Shiite Turkmen parties might be considered as the major obstacle before creating this unity. Even during the most violent sectarian conflict in Iraq, sectarian problems did not take place among Turkmens in Kirkuk which is the stronghold of the Turkmen identity. Nevertheless, the consequences of such a situation to directly take place in Kirkuk might not be in favor of Turkmens. Therefore, it would be good for Turkmen institutions and organizations, Turkmen people and particularly for Turkmen politicians to be moderate. It can be assessed that there might be those who would want to prevent the rise of Turkmens in the Iraqi politics in the recent period. Turkmens are the balance factor in Kirkuk. There might be some groups that would like to create division among Turkmens. Because whenever Turkmens act in unison with any group, it is highly possible that the aforesaid group will become stronger. Disturbing this balance would bring grief not only to Turkmens but also to Kirkuk in general. And a major trouble to take place in Kirkuk would easily reflect badly on all across Iraq. People in Kirkuk and Tuzhurmatu have recently been experiencing serious security problems over the last few months.The ongoing bombings and assassinations in September show that the unprotected and unarmed Turkmen people in the disputed areas at the intersection of conflict zones between Arabs and Kurds will be vulnerable to further attacks in the coming months as well. By disputed areas, I mean the lands that the Kurds seek to add to the Iraqi Kurdistan Region but that the central administration in Baghdad wants to preserve. The Turkmen people constitute the majority in almost all of the disputed areas including Telafer, Tuzhurmatu, Kirkuk, Mosul and Diyala. Not only during Saddam’s rule, but also since the fall of the Ottoman Empire, the Turkmen people have been viewed as the extension of Turkey in Iraq. For this reason, they have suffered extensively from the Baghdad regime’s brutality and Arab nationalism. Because of their Turkish identity, a number of Turkmen politicians and intellectuals have been murdered. They have been assassinated and subjected to torture. Many of them have been executed. Their villages have been destroyed, and they have been expelled from their homes. They have been persecuted and brutalized. This state of brutality remained up to the removal of Saddam from power. Due to the brutalities, the Turkmen people have rarely appeared on the political stage of Iraq. The Turkmen people had to suffer from the same brutality after the American invasion in 2003 as well. A number of Turkmen leaders have been assassinated, kidnapped or tortured. There have been attacks against the Turkmen in this period as well. Since 2003, they have taken some major steps towards the recognition of their identity. A decade is a small time interval in the history of a nation. The Turkmen people have made serious progress in this short interval. They have acquired 10 seats in parliament as well as three ministries (Ministry of Agriculture, Ministry of Sports and Youth Affairs, State Ministry for Communication) and an administrative authority (presidency of the Hajj Commission). On July 28, 2012, a Turkmen Rights’ report was adopted in the Iraqi parliament in the form of a law. In this way, the Turkmen people became the third founding community after Arabs and Kurds in Iraq. The Iraqi Constitution, which was adopted in 2005, also recognizes the Turkmen people as one of the constituent communities in Iraq. It is important that the Turkmen people have this constitutional right. They are now able to seek their rights and fight for their own legal status. The Kurdistan Regional Government in northern Iraq and the central Baghdad administration are fighting over the predominantly Turkmen areas. For this reason, the Turkmen people are in a difficult spot between Arbil and Baghdad as well as the Kurdish and Arab ethnicities. Their lives are not secure; there are bombings every day in Kirkuk. They cannot go to work; kids cannot go to school. People are kidnapped for ransom; they are tortured. There is a constant state of alert. This raises serious concerns among the Turkmen people. Every Christian in Iraq has set his heart on moving to a Western country. Due to these incidents and this state of violence, now the Turkmen people want to migrate to Turkey because they have to address growing threats stemming from clashes between the Arabs and the Kurds. Arbil currently does not want to have an independent state in its three provinces. It is eager to include the disputed areas and then proclaim its independence. But this is not something that Baghdad will recognize or tolerate. In such a case, the central administration will give a military response. At this point, the US will not allow a conflict between Arbil and Baghdad. For this reason, it seems that this process and state of turmoil and violence will remain for a while. – to gather mujahid (Sunni warriors) in Iraq under a single roof. Who is this “Free Iraqi Army”? The information about the Free Iraqi Army, which is a brand new formation, is quite limited. 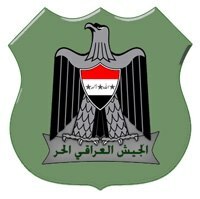 The main theme of Free Iraqi Army’s emblem is composed of “an eagle” figure, which is also found in the emblems/symbols of many institutions and organizations in Iraq, on khaki green background and the Iraqi Flag of the Saddam Hussein period. However, both the information in the media organizations and the information we have obtained from the field are not sufficient enough to know Free Iraqi Army for now. It might be useful to mention the news related to Free Iraqi Army in certain Iraqi media organizations. According to the information on media, it is alleged that Free Iraqi Army is organized by a Sunni cleric Taha al-Dulaimi(3). Taha al-Dulaimi is known for the Islamic themed (but which rather reflects Sunni Islamic perspective and opposes to Shiism) programs on Al-Wesal TV broadcast from Saudi Arabia. Taha al-Dulaimi, who is affiliated to Dulaimi tribe in Anbar province of Iraq, is actually a medical doctor. Dulaimi, who stopped practicing his profession and studied divinity, is known as a person who devoted himself to Sunni Islam. Because considering the declarations issued by the Free Iraqi Army, the anti-Shiism is seen quite clearly. Considering the fact that Free Syrian Army is generally composed of Sunni Syrians, the resemblance between them grabs the attention. Similarly both forces adopt an attitude against the current regime. On the other hand, it is stated that the former Ba’athists, former military men, and Sahwa forces (Awakening Councils) are found within the Free Iraqi Army. It is said that especially Sahwa members constitute the majority of the Free Iraqi Army. As is known, Sahwa forces, whose all needs (money, arms, ammunition, clothes etc.) are met by the U.S., were created by the U.S. by coming to terms especially with Sunni Arab tribes in 2007 within the concept of “fighting against terrorism” in Iraq, to fight against the terrorist organization Al-Qaeda in the area where all tribes are in control. Then all responsibilities of Sahwa forces were transferred to Iraqi central government in order to include Sunnis in political process. However, following the withdrawal of the U.S. from Iraq, Sahwa forces constituted a problem for the Iraqi government, and problems related to the salary payment of Sahwa forces took place for a long time. As a result, at the recommendation of Iraqi Prime Minister Nouri al-Maliki, the Iraqi government declared the dissolution of Sahwa forces on 10 July 2012. Considering the aforesaid development, the fact that the formation of Free Iraqi Army was declared on 19 July 2012 grabs the attention. It is stated that Free Iraqi Army is active/strives to be active in Anbar, Diyala, Salahaddin, Mosul, Kirkuk and Baghdad where Sahwa forces are active. In fact, it is alleged that there are training camps of Free Iraqi Army in Mosul and Anbar. According to the information we obtained from Mosul, it is stated that Free Iraqi Army organized a military ceremony as a “show of force” in late August. Besides, it is argued that Free Iraqi Army has a close relationship with Haris al-Dari, who is the Head of Association of Muslim Scholars and is alleged to be related to Al-Qaeda. In fact, it is also argued that Taha al-Dulaimi who is said to be the leader of Free Iraqi Army and Haris al-Dari have a personal relationship. In addition to this, certain media organs in Iraq put forward that Free Iraqi Army receive external support, that it is organized especially by Saudi Arabia, Qatar and Turkey, and even that Turkey contributed to the formation of Free Iraqi Army by gathering former Ba’ath Party members and Iraqi Vice President Tariq al-Hashimi who was sentenced to death for crime of terrorism in Iraq. (4) Considering the fact that the source of allegation is one of the parties, it is possible to suggest it would not be right to take the news seriously. On the other hand, it is suggested that Free Iraqi Army is striving to be active in southern Iraq. It is alleged that Free Iraqi Army members purchase arms from the provinces in southern Iraq by offering high prices. Thus, it is argued that the goal is to disarm Shias in southern Iraq, and to provide arms to Free Iraqi Army. As a matter of fact, Bashir Al-Najafi and Kazım Al-Hariri from the Ayatollahs in Iraq gave fatwas suggesting not to sell arms to unknown people and suggesting that selling arms is equal to selling “dignity”. In conclusion, it is possible to suggest that Free Iraqi Army might create a new conflict and problem for Iraq, even if its effect and future is not known for sure. As it was particularly stated in the founding declaration of the Free Iraqi Army, sectarian polarization and engaging in conflict are quite dangerous for Iraq. Considering the recent acts of violence in Iraq, it is seen that the first sparkles started to be observed. Besides, it is likely that this conflict might turn into a regional polarization. This situation might incite a new conflict dynamic in the Middle East, as it could also create an extremely complicated problem for Turkey. In the developments taking place in Syria, both the attitude of Turkey and the problems with Iraq as well as the position of Iran in the region might replace the stones of the wall encompassing the regional dynamics. What is ought to be known is that all parties are under this wall and in case this wall is destroyed, everybody will be buried under the wall. Therefore, it is believed that it would be useful for all parties, shaping the Middle East politics, to develop reconciliatory and conciliating policies along with more careful policies. (1) For the website of the Free Syrian Army see; http://www.freeiraqiarmy.org, Access: 24 September 2012. (2) For the full text of the Declaration in Arabic see; http://www.freeiraqiarmy.org/portal1/?p=60, Access: 24 September 2012. (3) http://albainah.net/Index.aspx?function=Item&id=48451&lang=, Access: 24 September 2012. (4) http://www.al-bayyna.com/modules.php?name=News&file=article&sid=55585, Access: 24 September 2012. On behalf of the Unrepresented Nations and Peoples Organization (UNPO), you are cordially invited to attend UNPO’s parallel event ”National and Religious Minorities in the Middle East” taking place at Palais des Nations – Geneva, on 25th September 2012, 14.00-16.00. Through this event, UNPO aims at bringing attention to the human rights situation of religious and national minorities in Iran and Iraq, with two specific case studies on West Balochistan and the Iraqi Turkmen. We aim for the event to reach diplomatic staff members, UN staff members, academics, NGOs alike, and people with an interest in human and minority rights. Iran’s population includes a large number of religious, ethnic, and linguistic minorities. These groups are highly diverse, but share common experiences of economic marginalization, political repression and denial of even the most basic of cultural rights. Baloch people in Iran are deprived of their cultural, social and economic rights leaving them feeling like third class citizens. They face discrimination, particularly with regard to political participation and the job market. The punishment for dissemination of Baloch culture and language is a declared act of treason against the state and assimilation policies carried out by the Persian state mean that the Baloch are rapidly losing their identity. Baloch people face systematic intimidation, harassment arrests, and torture. Minorities in Iraq include various ethnic and religious groups. The Kurds, Assyrians (also known as Chaldo-Assyrians), and Iraqi Turkmen represent the three largest non-Arab minorities in the country. Since the demise of the Ottoman Empire, the Iraqi Turkmen have been victims of several massacres, such as the Kirkuk Massacre of 1959. Furthermore, under the Baath party, discrimination against the Iraqi Turkmens increased, with several leaders being executed in 1979 as well as the Iraqi Turkmen community being victims of Arabization policies by the state. Despite being recognized in the 1925 constitution as a constitutive entity, the Iraqi Turkmens were later denied this status, they have suffered from various degrees of suppression and assimilation that ranged from political persecution and exile to terror and ethnic cleansing. This event will highlight some of the most pressing issues currently facing minorities in Iran and Iraq. Confirmed speakers include Nasser Boladai (Spokesperson, Balochistan Peoples Party), Sundus Saqi (Representative, Iraqi Turkmen Front), Charles Graves (Secretary General, Interfaith International), and Christoph Wiedmer (Director, Society for Threatened Peoples). Speakers will present a picture of the state of minority rights in the Middle East region, explore the implications of the Arab Spring and democratic movements on minority rights, as well as discuss successful examples of multinational democracies. Arshad Salehi is the head of the Turkmen Front. 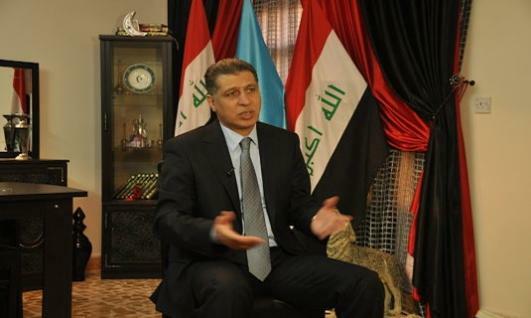 In an interview with Rudaw inside his Kirkuk office, he pointed to better relations with the Kurds and said that his group is ready to enter an alliance with “native Arabs [to Kirkuk] and real Kurds” for the next election. But, due to an unclear “map of political alliances,” he refused to comment on whether his front will join the Kurdistan Alliance or not. Rudaw: Do you think Iraq’s reaction to the Turkish foreign minister’s visit to Kirkuk was appropriate? Arshad Salehi: It was an official visit to the Kurdistan Region. Two days before the visit, I met with the Iraqi prime minister and he said that Ahmet Davutoglu, the Turkish FM, would visit the Kurdistan Region and meet with [President] Barzani to discuss the Syrian situation, the PKK and several other issues. Since the Kurdistan Region is part of Iraq and the Iraqi government was aware of the visit, not to mention the fact that Mr. Davutoglu had expressed his willingness to visit Kirkuk several times, I think the visit was normal. Moreover, the visit was not a political one, and so the Iraqi government shouldn’t be too sensitive about it. On the contrary, the visit was to support the Iraqi government and Kirkuk’s local government. It was aimed at supporting both governments by strengthening economic relations between Kirkuk and several [Turkish] provinces. Due to the large number of Turkish companies and high trade volume with Turkey, we have almost all been Turkified. Rudaw: Davutoglu had a meeting with you. Did he make any promises to the Turkmen? Arshad Salehi: Davutoglu met with all the ethnic groups in the city. He started by meeting the governor who represents an important segment of this province. He also met with the head of the provincial council, who represents the Turkmen, and the deputy governor who represents the Arabs. He met with all the ethnic groups. His meeting with the Turkmen Front and the Turkmen is nothing new. We have always said we support establishing good relations with all neighboring countries. As the Turkmen Front, we have very good relations with the Arab states, too. I hope these relations serve Iraqi interests. Our meeting with Mr. Davutoglu was not a secret meeting. We met in front of TV cameras. He called Kirkuk the backbone of Iraq and clearly pointed to the importance of all ethnic groups in Kirkuk. He did not make any special promises to us. Rudaw: Why did he visit Kirkuk in particular? Mosul has different ethnic groups too. Arshad Salehi: In fact, the people of Kirkuk have been waiting for his visit for a long time.Davutoglu has visited Mosul in the past; he has visited other Iraqi provinces like Karbala, Najaf, Baghdad and Erbil, but only when he visits Kirkuk do different interpretations of his visit appear. Rudaw: Why was the Iraqi government worried about his visit? Arshad Salehi: I believe that if the Iraqi government had had a good relationship with the Kurdistan Region at the time of the visit, it would not have made such a commotion about it and would not have exaggerated the issue. The crisis in relations between Baghdad and the Kurdistan Region greatly influenced the visit. Rudaw: You said you met with Iraqi Prime Minister Maliki two days before the Turkish FM’s visit to Kirkuk. Did Maliki know Davutoglu was going to visit Kirkuk? Arshad Salehi: No. In his meeting with the political factions, Maliki said that Davutoglu was going to visit Erbil. So they knew he would be visiting there, but his visit to Kirkuk was unexpected. Rudaw: After Davutoglu’s visit, your group went to Turkey and met with Turkish officials. Did the Turkish officials advise you to build better relations with the Kurds? Arshad Salehi: Frankly, the Turks, and I hope everyone else, will always try to move closer to all Iraqi ethnic groups equally. I have criticized them and told them that I believe they should build better relations with us. I have told them that they have to look at the Iraqi Turkmen’s situation — they are facing extinction. But they remain within the same distance as they are with all Iraqi ethnic groups. In my meetings with the Iranians, I have often told them that Turkey stays the same distance from every ethnic group and that I wished they would do the same. If all the regional states treated Iraq as Turkey does, then everyone could relax. As for your question, Turkey advises us to build better relations with everyone; they do not insist on any particular party or group. When I assumed the leadership position of the Turkmen Front, some conflicts emerged between us and the Kurdistan Region. There are still some unresolved issues. But these will not hinder building better relations. This is normal in politics. Our Kurdish brothers have a different view on important issues like Kirkuk, and Article 140, and this is normal. When Mr. Massoud Barzani came to Kirkuk, the leaders of the Turkmen Front met several times to discuss what to speak to him about and whether to meet with him or not. We concluded that whatever the conflicts were, we needed to meet and discuss the issues. When he visited Kirkuk, I was abroad, but he met with the Turkmen Front’s leadership who handed him a letter with their demands. Prior to this visit, there was a lack of frankness between us. [The visit] was positive in strengthening relations. Rudaw: How is your relationship with the Kurdistan Region now? Arshad Salehi: We are waiting for positive steps from them. We do not want words without action. In some areas, trust building is necessary. Our people have suffered at the hand of Kurdish parties. From 2003 until recently, the city’s administration was run by one political party. Kurdish political parties imposed their hegemony on government offices in the city. We were afraid of the security agencies that report to the political parties. There were some assaults on Turkmen land in Kirkuk. Mr. Barzani promised to solve that problem. We showed many documents that proved our side of the story when it came to those lands. Rudaw: What Kurdish political party do you have the most problems with? Arshad Salehi: Frankly, since the establishment of the Turkmen Front, we have had good relations with the Patriotic Union of Kurdistan (PUK). We have never cut off relations with the PUK. But when we were based in Erbil, we had many issues with the Kurdistan Democratic Party (KDP). However, now our brothers in the KDP are also opening up to the Turkmen Front. Rudaw: What is your reaction to Prime Minister Maliki’s order for the formation of an armed forces division in Kirkuk, the Dijla Operations Command? Arshad Salehi: If this case was two years ago, we would have had a different reaction, but now we look at it in a different way. Unless we know who is going to be leading the division, what its tasks are, the basis on which it operates and who its soldiers will be, we will not support it. Will the commanders and officers of the division be from Kirkuk? Kirkuk cannot afford being the arena for political disputes. If the disputes between Baghdad and the Kurdistan Region transform into conflict between the Peshmerga and Dijla forces, Turkmen will suffer. That is why the Turkmen group in Kirkuk’s provincial council did not support the formation of the division. Rudaw: Is it true that you might enter an alliance with the Kurds for the next election? Arshad Salehi: The map of political alliances for the next election is not clear yet. Now a radical nationalist Arab group is cooperating with a radical religious group — they may form an alliance in Baghdad and middle Iraq — for the next election. Also the Sunni tribes and a religious incumbent party are getting closer. However, the map is not clear yet. As for us, we do not have to form an alliance with the Kurds. We will be very glad to form an alliance in Kirkuk with the real Kurds and native Arabs [to Kirkuk]. Rudaw: What does “real Kurds” mean? Arshad Salehi: Real Kurds are those who have not moved to Kirkuk with fake documents, those who have been living with us since the ‘50s and are originally from Kirkuk. Rudaw: Recently, in a case related to the Ministry of Education, Kurds and Turkmen raised their voice together. Both said their rights had been violated in the employment ratio. In many other issues, Kurds support you, but you lean more and more towards the Arabs. Why? Arshad Salehi: Let me be frank. Since 2003, we have been in agreement with the Arabs on strategic issues such as Article 140 and some other issues. But now we have reached the conclusion that we will not be siding with any particular group against any other group. We want to keep the balance. If we support the Arabs, then we have to stand against the other party, and this does not serve the interests of our nation.